(CNS): Police have vowed to keep up their high profile patrols but have also said they have been and will continue to get in the face of known criminals. Speaking at the press briefing last week, the commissioner said that some of the known gang members had even begun to file complaints about police harassment because of the RCIPS focus on trying to keep the gang members apart. Police are also now taking a hard line across the community on illegal window tint, which they say hampers their ability to see who is going where and if there are weapons in cars. On Friday police said they had stopped some 400 vehicles and stripped tint on the spot from 88 cars. Officers have promised that this campaign will continue and that police intend to keep up their scrutiny of known offenders and gang members across the island in order to ensure they are not moving around with firearms. Chief Superintendent John Jones said it was an island wide operation. ‘Blackened windows pose a real safety threat to police officers and to members of the public. However we’re not going to stop at tinting we will be tackling license plate issues too. Too many people on the islands have their number plates obscured, have their plates displayed in their windows, or worse have no plates displayed at all," he added. Aside from contravening the raffic law the main concern is that missing plates makes it difficult for the police to trace vehicles involved in criminal activity. ‘This is not about cracking down on traffic offences – it’s about making these islands safer for all,” he said. But where there is information that says these people are active and may have guns, and he said the police would not stop getting in their way to stop the movement of guns. He said that the high profile policing, armed patrols and road blocks would not stop until the RCIPS had put an end to the gang violence. He said the police were also raising their presence in all the hot spot areas where they know gangs gather and confront each other, such as certain clubs and bars. Chief Superintendent John Jones said this week that, following his prediction that an innocent bystander would soon be shot, he never dreamt in his worst nightmare that it would be a young child that became that victim. “We need to get these thugs off the street,” he said. “We have strong intelligence as to who they are,” but, he added, the police cannot convict anyone in a court of law without evidence. Jones confirmed that the police know who the shooters are in most of the killings but unless they can secure evidence they cannot bring charges, and in the absence of a weapon or other forensic evidence they are dependent on eye witness testimony to secure a conviction. (CNS): While the Cayman Islands has faced considerable criticism in numerous quarters for its lack of green credentials, the Queen Elizabeth II Botanic Park is flying the flag in the region for genuine commitment to the environment. The park has become the first attraction of its kind in the Caribbean to attain Green Globe Certification, a travel, tourism and hospitality industry award that demonstrates a commitment to the environment and sustainable operations and management. The park has achieved 133 standards, implemented several environmental best practices and undergone a detailed third party audit to attain the green accolade. Andrew Guthrie, General Manager of the Botanic Park, said the certification would enhance the already existing green initiatives being implemented in the facility. “The Queen Elizabeth II Botanic Park is extremely pleased to have received Green Globe Certification. The Botanic Park hasalways been a green facility and the certification process has made us look at all of our practices and procedures to see where improvements could be made. These changes have enabled the Botanic Park to become even more ecologically sound, which furthers our conservation goals,” he added. The installation of a drip irrigation system and high efficiency toilets to reduce water consumption, the use of recyclable paper and the disposing of garden waste onsite were some of the initiatives that helped the park gain certification. The goal was reached through the park’s participation in the Cayman Islands Environmental Project for the Tourism Sector (CEPTS), a joint pilot project between the Departments of Tourism and Environment and the tourism private sector, according to a statement from the DoT. Other establishments undergoing the process for Green Globe Certification include Cobalt Coast Resort and Compass Point Dive Resort in Grand Cayman; and Little Cayman Beach Resort and Southern Cross Club in Little Cayman. All businesses certified by Green Globe receive a variety of promotional opportunities. Businesses are recognized by AAA (American Automobile Club), British Airways Holidays, Air Canada Vacations, Travelocity, and other tour operators. Certified businesses are also promoted across all Green Globe websites, including www.greenglobe.travel, and in the popular travel magazine Islands. (CNS): The proposal to allow individuals to give evidence in court anonymously has been approved by Cabinet, the governor has confirmed. 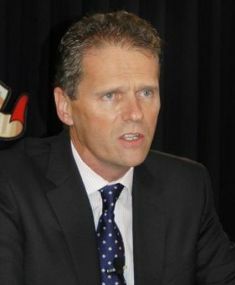 Duncan Taylor chaired an emergency cabinet meeting on Friday when the proposal was discussed and agreed, paving the way for a bill to come before the Legislative Assembly next Wednesday when the country’s parliament reconvenes. The police commissioner has been seeking a change in the legislation almost since he arrived and the recent events have propelled the proposal to the top of government’s agenda. The proposal will allow witnesses to serious crimes, in particular firearms and gang related crimes, to give evidence in court without their identity being revealed. A number of senior officers have confirmed that there are unsolved cases currently being investigated which could be brought to court if this legislation is passed. Speaking at a special press briefing on Tuesday of last week following the murder of four-year-old Jeremiah Barnes by gunmen at a gas station in West Bay on Monday 15 February, the governor said this legislation would not be a panacea but a tool for the police. In an ideal world the RCIPS would prefer to have witnesses that come forward openly. However, Baines said he acknowledged the perceptions in the community that witness identities are often revealed even before cases reach the courts. However, on Thursday while confirming that four people were in custody in connection with the shooting the police released a statement indicating that, three days after the incident not one person had voluntarily come forward to give evidence. Following the call from the police regarding a key witnesses that was reportedly seen at the forecourt filling his car at the pumps before the incident occurred, the community has been questioning the safety of that individual now the police have publically indicated he may have seen the incident while at the same time describing his vehicle, which they believe would probably identify him in the neighbourhood. Faced by these challenges and a perception of fear, fuelled by historic incidents of witnesses being shot and threatened, the police also have forensic evidence challenges with no crime lab in the jurisdiction. This means there is a great risk on the integrity of evidence and maintaining its chain. Furthermore, with resources strained, long planned training for officers to use more modern interview techniques, such as audio and even video equipment, is long overdue. Consequently eye witness testimony continues to be a fundamental tool in the police arsenal. The new legislation, which the police hope will turn around the reluctance in the community, will allow witnesses to give evidence during trials through voice distortion and from behind screens. (CNS): Captain Charles Kirkconnell, an icon and pioneer in the Cayman Islands, died on Thursday evening 18 February after a long illness. Captain Charles would have turned 88-years-old this December. The Kirkconell family is one of the country’s founding families and Captain Charles left his mark in many ways on the country’s business and commercial landscape as well as its political one as a former EXCO member. His family said that Captain Charles died peacefully with his loved ones by his side. Funeral arrangements are still pending. Captain Kirkconnell spoke to Cayman 27 in 2003, and recalled his life as a seaman and what old time Cayman used to be like. Click here for the video. (CNS): Cayman will have to wait another two days before they see the country’s first ever Winter Olympian take to the slopes of Whistler’s Creekside at the Vancouver games. Dow Travers, who is competing in the Giant Slalom, will now race on Tuesday 23 February instead of Sunday as scheduled. The race has been delayed as a result of a lack of a fundamental ingredient for skiers –– snow. Travers will be in the starting line for the first course of some 80 skiers from around the world for a race that will last for just over a minute. The racers will then face a second newly laid out course where the top 30 finishers from the first run will be swapped around to increase the competitive tension. The times from both races will be combined to find a winner. The first race is scheduled to take place at around 12.30 Cayman Time and the second at 4pm. Giant slalom generally covers just over 50 gates and this course is a little shy of 5000 feet long. The race combines the speed of the downhill race with the technicality of slalom racing and its quick turns. Skiers are moving at around 40 miles an hour. 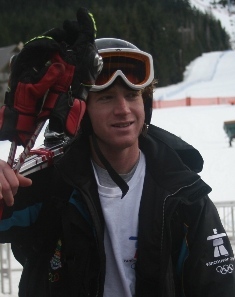 Although the sport has traditionally been dominated by European skiers, American Ted Ligety is currently favourite for the gold, and while the medal my not be very likely to come to the Caribbean everyone in Cayman will be rooting for Travers to make a great showing and crossing their fingers for him to make a personal best. (CNS): The Royal Cayman Islands Police Service say that a series of text messages circulating around the islands tonight purporting to reveal the locations of police road blocks, their time and their locations are false. 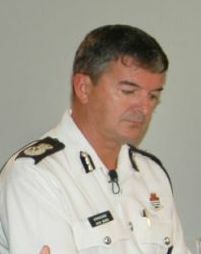 An RCIPS police spokesperson said, “It is absolutely beyond belief that the person responsible would attempt to use erroneous information to suggest that he, or she, has inside knowledge of police operations – operations which have been set up following the brutal murder of a four-year-old child and to crack down on people carrying firearms on the island. At a press conference Tuesday Police Commissioner David Baines warned that the RCIPS would be conducting more road block following the murder of a child, Jeremiah Barnes, Monday night and that the wider public could expect to get caught up in the heightened police activity. He asked for cooperation and for people not to be alarmed by the overt weaponry some officers would be carrying. “These blocks are not traffic related; they are to stop and search the vehicles of known gang members and violent suspects and to get at the weapons they are carrying.